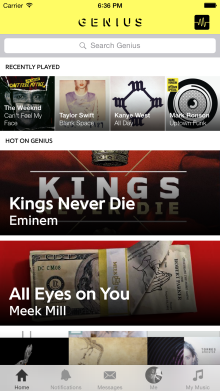 If you’re an Android owner who has to Google or Shazam every song you hear to find out more info about the artist or lyrics, then today is a fine day indeed for you, as Genius has launched its first Android app. As on iOS devices, the app lets you play songs and read the lyrics at the same time, making it a useful ad-hoc karaoke tool, though that’s not really its purpose. 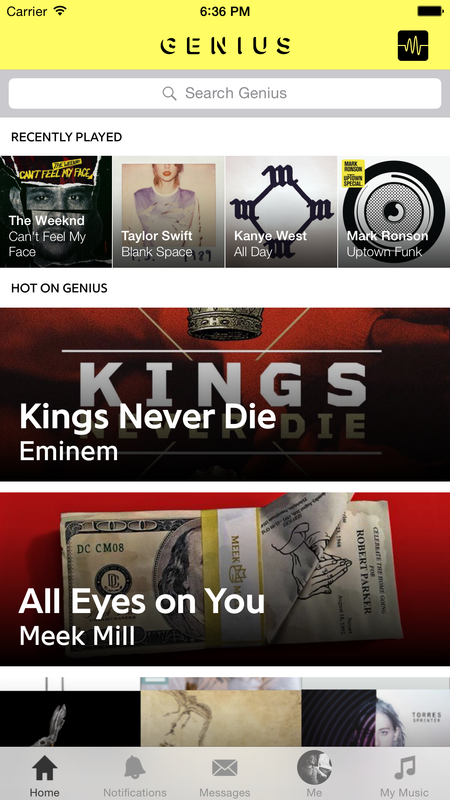 Users can also delve deeper into the story behind a particular track with additional factoids just a tap away. While it has been designed in keeping with Google’s ‘Material Design’ approach and offers support for featured videos, audio and GIFs, it is lacking a couple of features already present on iOS, such as allowing you to create and manage annotations. Genius says those are coming though. 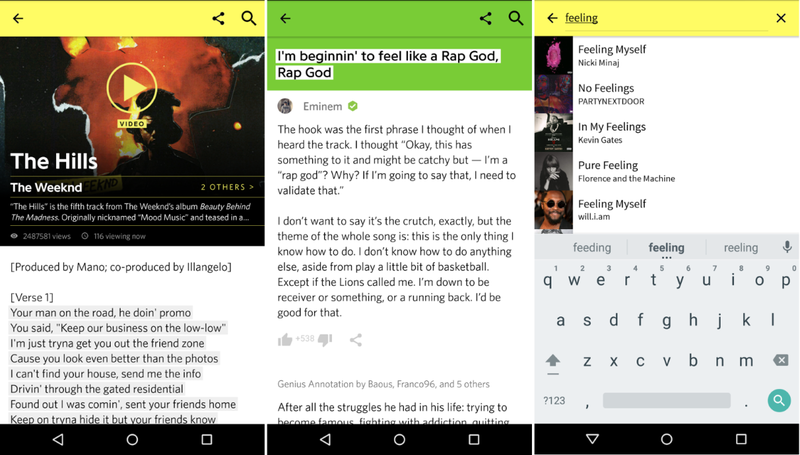 In addition to launching its first Android app, Genius also tweaked the design of its iOS offering and website to implement new branding and colors across all platforms.